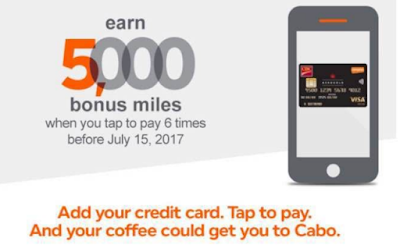 You can earn 5000 bonus Aeroplan miles when you add your CIBC Aeroplan Visa Infinite Card to your phone and tap to pay 6 times before Jul 15, 2017. This is a targeted offer. You need to receive the email from CIBC first.